Home > Free > Reach Coupon | Moneymaker on Floss at Kroger! 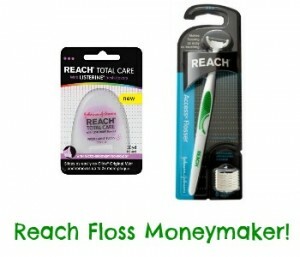 Reach Coupon | Moneymaker on Floss at Kroger! Now is a great time to use your Reach coupon and pick up FREE floss! There is a Catalina offer through 5/18 at Kroger. Buy four Reach floss and receive a $6 Catalina! Makes it a $1.24 Moneymaker! Makes it a 4¢ Moneymaker! You will need two computers to print four copies of this coupon, so ask a family member or friend to help you out!